Pakistani Cricket Team that first of all was struggling in First round of T20 World cup and later on in Super Eight Round due to losing too many matches has Qualified for T20 World Cup Semi Final by a miracle on basis of higher run rate. Pakistan defeated South Africa by 11 runs and England Defeated New Zealand by 3 wickets due to which Pakistan Qualified along with England For Semi Finals from Group E.
Pakistan has reached Semi Finals by winning just two matches one against Bangladesh in First round and second against South Africa in Super Eight Round. If anyone of you remember 1992 Cricket World cup?? Pakistan Qualified in that World cup in similar fashion and later on won that World cup. Pakistan has reached Semi Final of T20 World cup for the third time continuously. 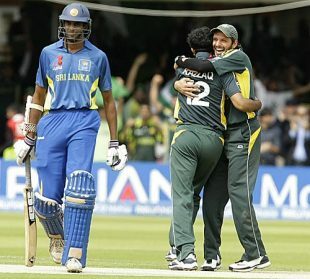 Now Pakistan will face Australia in Semi Final on 14th of May.